Mayor Inday Sara Duterte urged the city council to craft an ordinance against the unauthorized operation of drones in the city. 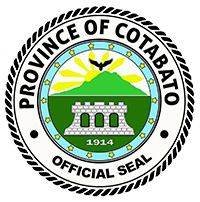 The mayor said that she referred the crafting of the ordinance to the Committee on Public Safety and Security, which is chaired by Councilor Maria Belen Acosta. Mayor Inday said there is a need for an ordinance to regulate the use of drones as these could be used as weapons. She clarified though that there had been no incident so far of a drone used as a weapon in the city. “There were areas outside Davao City where drones are being used as a weapon. We don’t want this to happen in our city that is why we want to craft an ordinance like this,” she said. As of the moment, people who wished to use drones need to ask permission from the Davao City Police Office (DCPO) and the Civil Aviation Authority of the Philippines (CAAP).